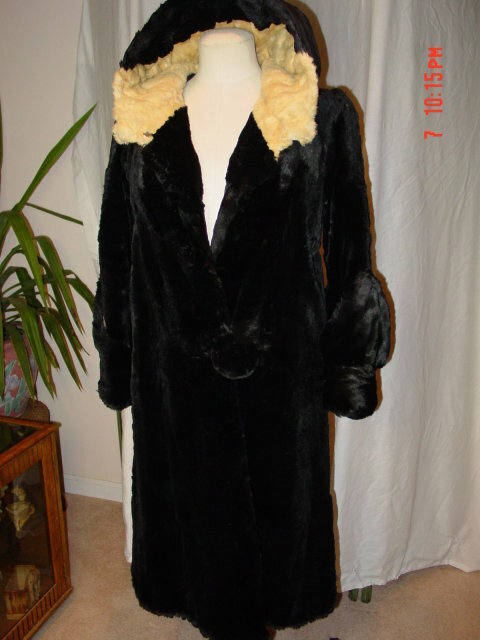 Vintage black rabbit fur coat with an off-white and black rabbit fur collar made in the 1920's by W.G. Swartz Co., a favorite Norfolk department store for many years. The collar can be rolled down for a solid color effect, or it can be pulled up as a partial hood. 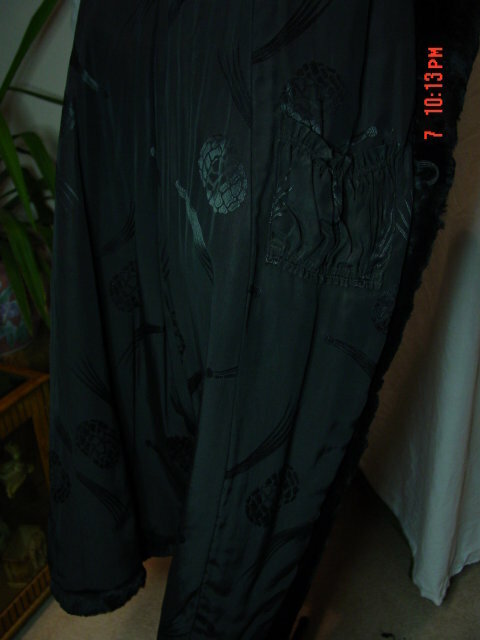 The coat is lined in a patterned black satin material with a pocket inside on the left, and a double strap sewn on the right waist can be cinched through a loop on the front edge to secure it closed. There is a small black button near the collar with a large loop on the right to close the neckline. 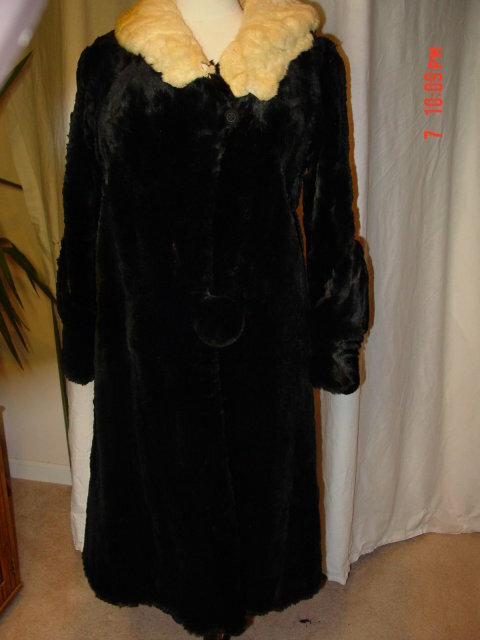 There is a 2-1/2" fur button on the front left which goes through another large loop on the right at waist level. The sleeves are double banded with a large triangle shape material basted above it, and the lining under this area has deteriorated on both sides. The fur is in very good condition, but this coat needs a good cleaning. There is no size tag, but it probably is around a size 8. Items Similar To "W.G. 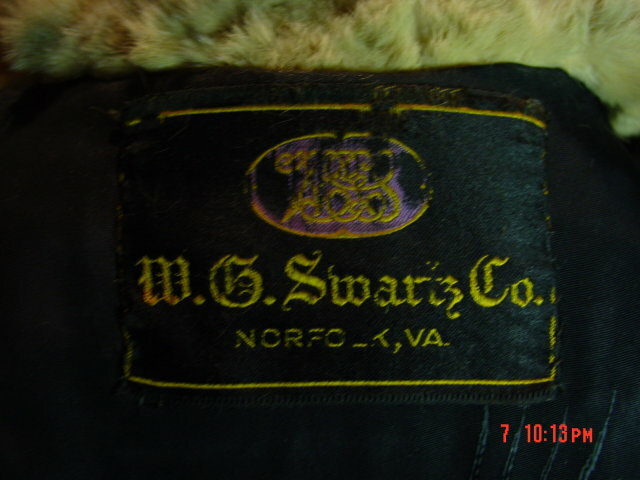 Swartz Co. Black Rabbit Fur Coat"